Top 10 DNA Tests - Can You Do A Paternity Test While Pregnant? If you are wondering whether you can perform a paternity test while pregnant, the short answer is yes, you can absolutely perform a relationship DNA test in utero to determine the potential biological relationship between the alleged father and the unborn child. This is where achievements of modern medicine and genetics really get to shine since you can now opt for a non-invasive prenatal paternity test that poses no risk to the baby. You have two invasive procedures at your disposal as well, but they may jeopardize the baby’s health. If you need to perform a paternity test before the baby is born, this article is the perfect place to start and gather all the information you’ll need to make a fully informed choice. We’ll cover all three available methods and you can choose the one that suits your needs best. Non-invasive prenatal paternity testing allows the mother and potential father to get reliable answers early in the pregnancy without risking the baby’s health. The test only requires some cells from the developing fetus, which flow freely in the mother’s bloodstream. The cells can be detected as early as the 8th week of pregnancy. This test requires a simple blood sample from the pregnant mother and poses no risk for the child, which makes it a vastly superior option to its invasive counterparts. Before we continue, we should point out that in utero paternity testing comes with relatively high price tags and is often not covered by medical insurance. On the other hand, many online testing providers offer payment plans to lessen the impact on your monthly budget. For example, prenatal testing with DDC requires a 999$ downpayment + three equal monthly installments. There are two invasive procedures that can reliably determine paternity before the baby is born, amniocentesis and CSV or chorionic villus sampling. 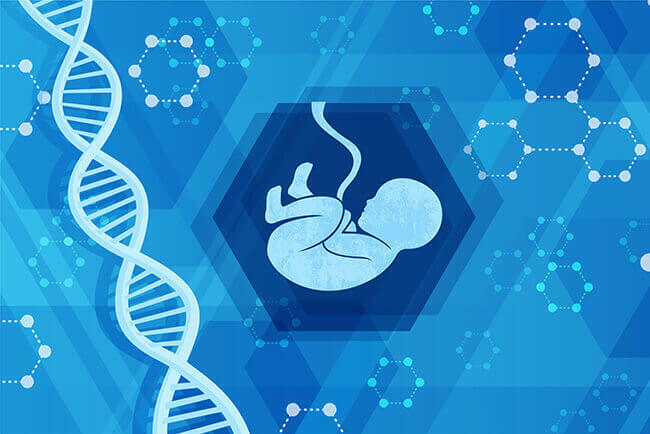 Both procedures are usually performed to determine the potential risks of some birth defects or genetic disorders, but they can also be used as paternity tests. During amniocentesis, the doctor takes a sample of the amniotic fluid that surrounds the baby in the mother’s womb. The procedure starts with an ultrasound, which is used to determine the baby’s location and find the most conveniently placed pocket of amniotic fluid. The doctor then inserts a needle into the mother’s belly to collect a sample of amniotic fluid, keeping it away from the floating baby. The sample collection usually takes around 10 minutes. 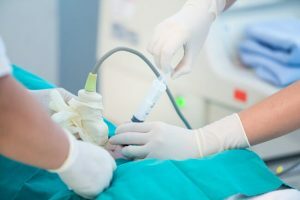 Being an invasive procedure, amniocentesis does pose some risk of miscarriage and other complications. You should definitely talk about the pros and potential consequences with your doctor. The final results can take anywhere from a couple of days to a few weeks. Chorionic villus sampling is commonly done by a perinatologist. It can be performed in the hospital or doctor’s office and usually doesn’t require an overnight stay in the hospital. The procedure can be transabdominal (through the belly) or transcervical (through the cervix). The choice largely depends on the position of the placenta and the fetus. The transabdominal procedure uses a needle and transcervical a catheter to collect the samples of the chorionic villus cells. An ultrasound device called transducer is used to guide the procedure. The test may cause the leakage of amniotic fluid, vaginal spotting, and cramping. It also increases the risks of miscarriage, infection of the uterus, and the baby being born with an arm or leg defect. It is, therefore, very important to get all the information and be fully aware of the risks before doing the procedure.